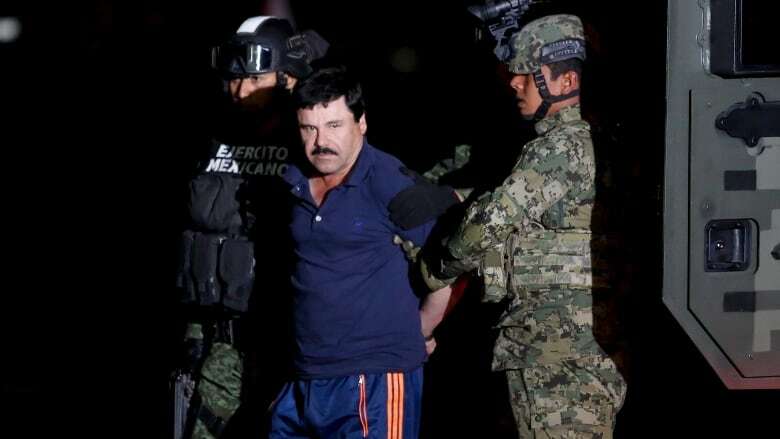 Canada was a lucrative market for Joaquín (El Chapo) Guzmán. The world's so-called most powerful drug trafficker could sell one kilo of cocaine in this country for $10,000 more than he could in the United States, according to Andrew Hogan. "It really surprised me, actually, just how involved the drug distribution network was for Chapo in Canada," the former Drug Enforcement Agency special agent, told The Current's Anna Maria Tremonti. 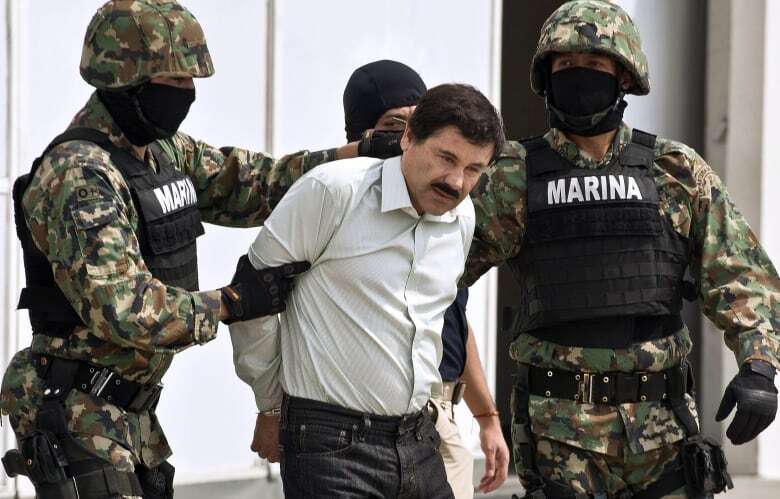 The Sinaloa Cartel leader employed a sophisticated system to supply cocaine, methamphetamines, marijuana and heroin to the United States and beyond. He's worth billions of dollars, and was wanted by U.S. law enforcement for years. Hogan led the team that eventually captured El Chapo in 2014. 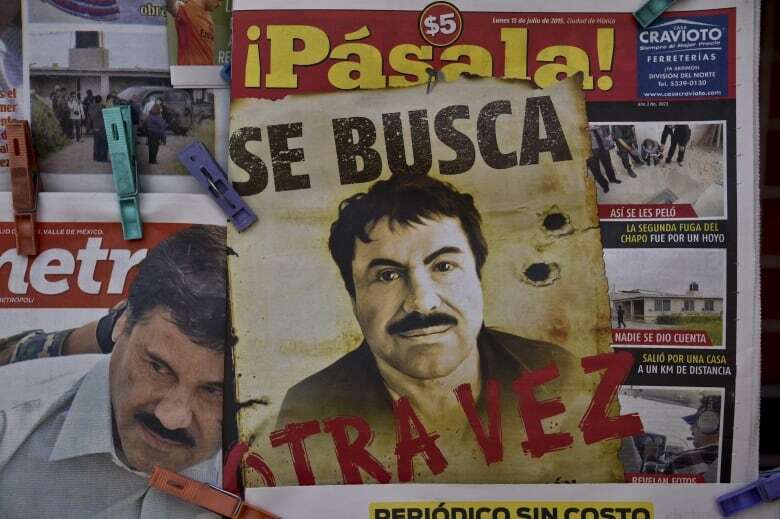 He wrote about his experiences, including the Canadian connection, in his book Hunting El Chapo. In pursuit of El Chapo, Hogan uprooted his wife and kids and moved to Mexico City. They fell in love with the city — its culture, people and food — he said. But the move was risky. "The dangers are real, you know. I mean they were all calculated, and I'm still calculating them to to this day," he said. "But ... I looked at it as my mission as a DEA agent." To track the elusive drug lord, Hogan and his team pinged phone numbers associated with his inner circle: his couriers, facilitators, pilots, family members and even his cooks and maids. From there, they constructed a map with his "pattern of life ... to understand his day-to-day activities and where he's camped out at, his movements and where he's going during the week," Hogan said. Once they had months of data in hand, he said, they delivered the intelligence to the Mexican Navy. "They had a reputation for being the least corrupt in Mexico," he said. "I had never worked with them before, but several of our guys in our office had and had some great success." Success for Hogan wouldn't come instantly, though. "Chapo had had 13 years of hard study on us and he was always one step ahead. He was he was a sharp, a very sharp guy." Intelligence led Hogan and his team to El Chapo's base in Culiacan. When he and the Marines arrived, a "six-inch steel-reinforced" door protected the leader from the outside world. According to Hogan, El Chapo and those around him knew the DEA officials were in the area. "We discovered that there was a leak," Hogan said. Somebody within the government had provided their intelligence to El Chapo's people. "The only thing that saved us really was that Chapo did not know that we were coming for him," he said. It took the Marines 10 or 15 minutes to break down the steel door. By then, El Chapo was gone. "He had escaped down a tunnel underneath a bathtub and that tunnel ran to the sewers." Hogan and the Mexican Navy ultimately captured the drug lord during an early morning raid in Mazatlan in February 2014 . The drug lord was found on the fourth floor of a condominium and brought out to face the special agent. "We locked eyes there for a second and I said the first thing that came to my mind ... 'What's up Chapo?!'" 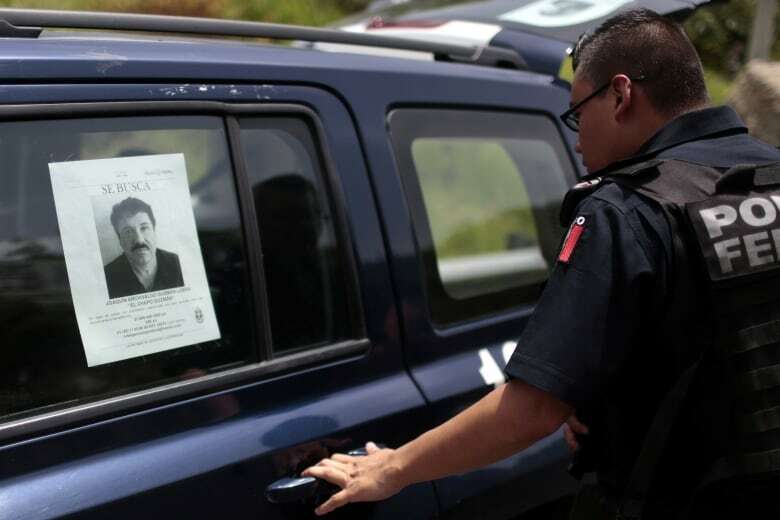 He was locked up in a maximum-security prison outside Mexico's state capital, Toluca. But halfway through the following year, El Chapo escaped once more — this time, through a hole in his prison cell shower. "He had his chief tunnel builder build him a — I think it was close to a mile-long — tunnel, from a nondescript house a little ways away from the prison all the way underground," Hogan explained. The tunnel was sophisticated, having been built over a period of many months. It was even equipped with a rail car and a ventilation system. While much of the world was shocked to hear this news of El Chapo's latest escape, Hogan was not. "Look at his past. What has he done? He is the tunnel king. So, it really wasn't that surprising to see," he said. The Mexican Navy quickly regained momentum. Renewing their hunt for El Chapo, they combed through what was left of the drug lord's properties and members of his inner circle. After several months, his depleted resources caught up with him and he was captured in a bloody shoot out on Jan. 8, 2016. He continues to be held in Metropolitan Correctional Centre in Manhattan, New York. As for the possibility of another tunnel, Hogan said, "I sure hope not." With El Chapo finally locked away for good, Hogan's work as a DEA special agent felt forever changed. "I went back in to work the next Monday morning in a suit and tie … and I felt hollow. I felt extremely empty. I thought I'd be feeling euphoric and doing cartwheels up and down the hall. But I wasn't," he recalled. It took some introspection for Hogan to realise that what drove him was the chase. Without it, Hogan said, work lost a lot of its meaning — which was why he couldn't do it anymore. "I was left with really nothing and I needed a new hunt, a new challenge and I didn't believe that I could get through through DEA anymore," he said. "I looked for that next challenge and hunt and that was leaving the government." How much credit does Donald Trump deserve for Korean leader summit?